Well, seriously who doesn’t know the incredible story from Amanda Hocking? She sold selfpublished millions of copies and got an incredible readership just on her own. 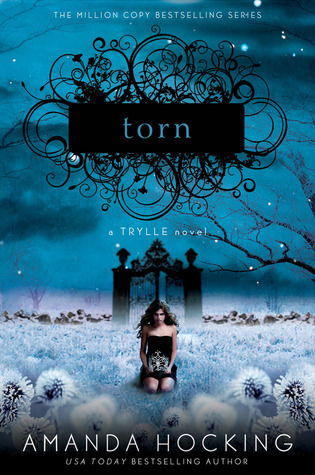 Then, she made an incredible deal with St. Martins for a new series, but they also published again her Trylle Series. A series people have been excited even before St. Martins came along.Since, I was one of only few people who haven’t read them before, I got the chance to get a copy from St. Martins – together with this wonderful new cover design! We know them all… we all have our favourite Vampire, Werewolve, Fairy Stories. Hey, we even have Dragon stories – but this new world is most definitely something else entirely. And, I found it enthralling, creative and facinating! Together with Wendy, we learn that there is something else out there, we learn that Changelings exist and that they have nothing to do with Faries and more to do with …Nope, I’m not going to spoilt this for you. Anyway, those creatures are not as you’d expect them – they are incredibly beautiful, smart and ..very different! Their soceity is something that feels very frightening to us when Wendy first has to learn the rules..
Wendy – a heroine that you will love and care for. Wendy never fitted it – nowhere. Not even with her own family. Her mother hatted her guts and she had to leave nearly every school she was. She has a very bad tempter, but that’s not all what’s weird with her. She’s very picky with her food and likes to walk without shoes. And although all this seems like a girl you wouldn’t like to care about, trust me – once you heard Wendy’s story you will love her and care for her deeply just like I did! My heart broke for her – many times during the story! Wonderful was her brother and her aunt. Both raised her and would do anything for her! This was so touching and sweet, it made up for Wendy’s weird behaviour in the beginning entirely! Wendy most of the times was left in the dark which made the story so very enthralling and captivating. You simply won’t be able to put it down since we and Wendy were so frustrated all the time that we are left in the dark and never been told anything. However, Wendy grows and I loved following her and discovering all the secrets! I loved “Switched”, I loved the mythology since it felt fresh and unique. Mysterious new world, stubborn awesome heroine, dark mysterious boy , a love that cannot be and a captivating story full of secrets! 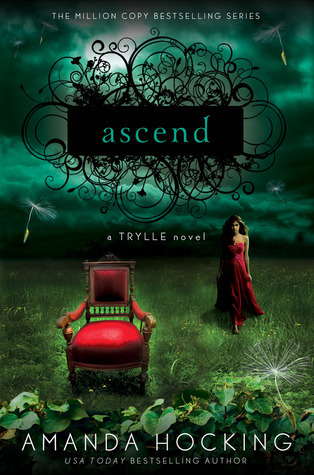 I can’t wait to get back in the world of Trylle! Random Notes and Additional Info: Thankfully, St. Marin won’t torture us and makes us wait forever for the next book! Torn comes out in February and Acent comes out in April! And look at those incredible covers!I have a major cover crush on them! Also, Heather already read and reviewed the whole series back then when it was still self-pub and she loooved it! 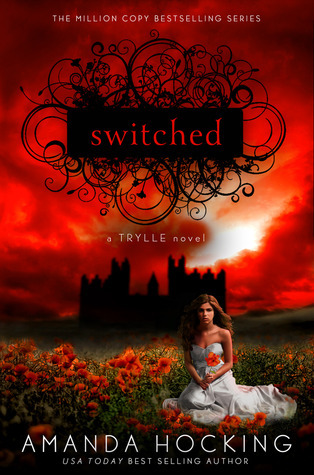 So, please read Heathers Review of Switched, Torn and Ascend. P.S. 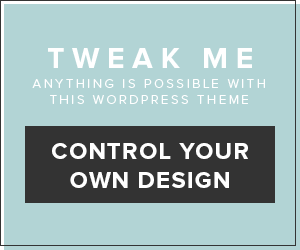 :Since we moved from Blogger to WordPress, please update your subscription. Also, Google Friend Connect will be discontinued for all non-Blogger blogs. We’d love to stay in touch with you, so it would be wonderful if you’d consider subscribing our Feed instead! Oh I was going to get this on Kindle since I've joined the masses, but the covers are so damn pretty I just have to have the books! But I can't wait to read them. I've seen the trailers and they are so beautiful. I thought she was a fairy changeling. Guess not. I can't wait to read this!!! I'll be back tomorrow! Fabulous review and great at not revealing anything!! So you were just like me then!! I agree those covers are so gorgeous, one needs to own the books, all of them!! And, yes sometimes it's hard to write a review without revealing so much. I'm sure though there are lots of spoilers on goodreads, but I just went into the book without knowing anything and I enjoyed it so much! YES, come back tomorrow for an awesome giveaway! Woot! I've heard the story of this book being self-published and becoming extremely popular, but I still haven't read it! I'm planning on it though! Also, I apparently need to get out of my Google Reader more often. I was in for a shock when I saw you guys changed your layout! I love it though! The blue and pink colors look awesome together! There, I thought I was alone with not having read this one! Danny What a terrific review. I bought these books two years ago when they were $.99 on my Kindle and sadly they are languishing in my TBR pile, Now I want to read them Asap. Since they were republished did they change them? Thanks Heidi!!!! I honestly don't know how much they changed. But since the time between the "deal" and the publication was not much I assume it was just some minor editing done. Also, Heather who read the "old" version said that they were already good edited. Awesome review. I've been dying to get my hands on this series in print ever since the cover launch. They're gorgeous. After reading your review I want them even more. Gosh, aren't the covers not incredibly amazing?? Thanks for the great review 🙂 !! I'm dying to read this one now !! Finn does sound like the perfect boy to fall for and just like you I happen to love mysterious dark boy !! The covers of the series look stunning. I really can't wait to read the first book now thanks to you !! See you tomorrow because I'll definitely enter this giveaway 🙂 !! And yes please come back tomorrow for the giveaway. Woot!!! Wow ladies! The new look is awesome. I love it! I've had Switched on my TBR for too long. I need to read it soon. The new covers are great. And you're just like me, I heard from it before but never really read it. I'm glad I did now, though. Glad to see you enjoyed this book! I've been curious about it for a while not, but haven't stopped to read any reviews yet. 🙂 I must check it out! Thanks for sharing! I ordered this a few days ago. I was going to read the ebook a while back, but when I saw the GORGEOUS covers of the new versions, I decided I'd wait until I could order the paperback. So looking forward to getting it!